Having good oral hygiene is very important to continue to have good oral health. Making sure you brush your teeth at least twice a day, and floss once a day is what is recommended. Scheduling regular exams and cleanings every six months will help you stay on top of your oral health. Staying focused on what is in the food and drinks you consume will also keep you happy and healthy for a long time. Sometimes life can be chaotic, and you may fall out of your routine. Busy lifestyles, traveling, or vacations can make oral hygiene tricky at times. Let's talk about how to spot signs of early gum disease. You may not realize things that are going on with your teeth and gums right away if you are not feeling any pain or discomfort. Usually pain is your body telling you that something is wrong. Biting down on something hard will usually go away in a short amount of time, and should not cause you too much concern. 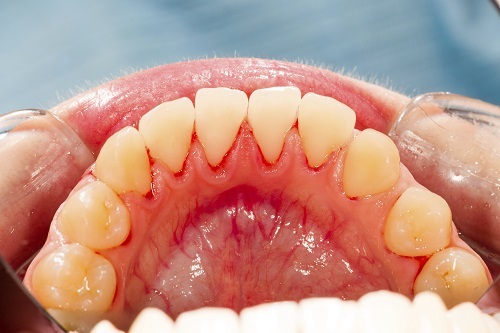 Things you should look for when it comes to signs of gum disease are red gums, swollen gums, bleeding gums, receding gums, loose teeth, pus, painful gums, halitosis, changes in your bite, and changes in the fit of your dentures if you have them. Your gums should be a light pink to a dark pink. Any of these should be considered a concern and you should see your dentist as soon as possible. Gum disease can lead to many other health problems for you in the future. You should not have any loose teeth or bad breath if you are taking proper care of your oral health. Many things can increase these risks, and we encourage you to provide information about your daily habits. There are procedures that can be done to help you reverse early gum disease. First, we need you to come in and get those areas cleaned. Getting rid of infected areas will help the spread of further problems. Letting it go can lead to your overall physical health and can even lead to heart attack. Our goal is to keep you healthy and smiling. Let's face it when you don't feel good, it can lead to long days, and sleepless nights. If you are noticing anything that seems like it could be a concern, please do not wait until your next visit. Give us a call, tell us what your concern is, and schedule an appointment right away. We would rather get to it sooner than later. Keeping you at your best is our top priority. Catching things early is the best way to having you spend less time at the dentist, saving you time, and money in the long run. Keeping your gums healthy is also the best way to make sure you keep your natural teeth as long as possible. Give us a call so we can get you in. We hope to hear from you.